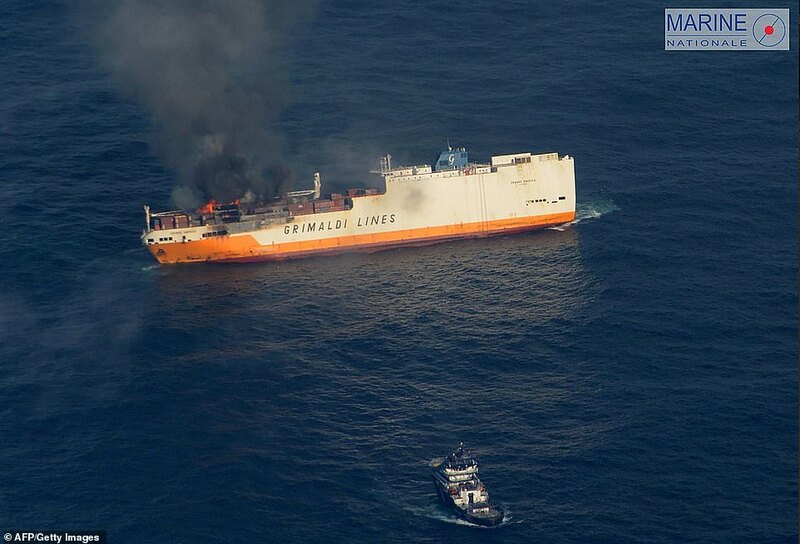 An Italian container ship bound for Brazil while carrying some 2,000 cars including some three dozen Porsches caught fire and sank in the Atlantic Ocean just off the coast of France last week. 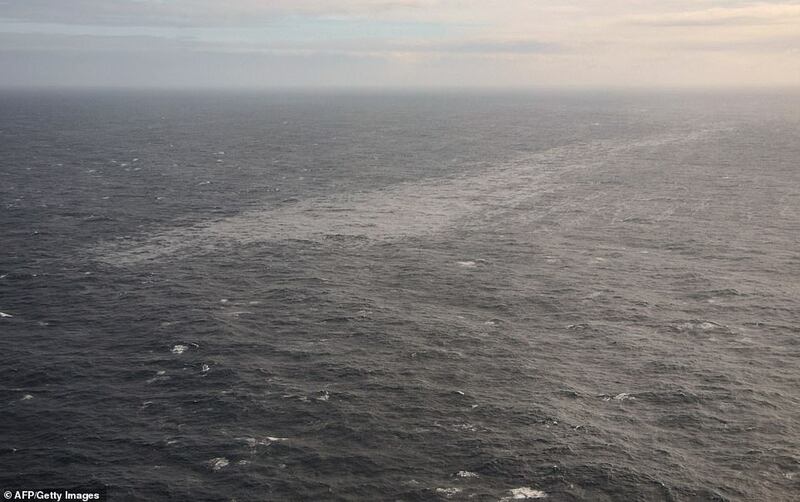 All 27 crew members aboard were rescued by the British military, though French authorities quickly began to clean up an oil spill caused as a result of the sinking. 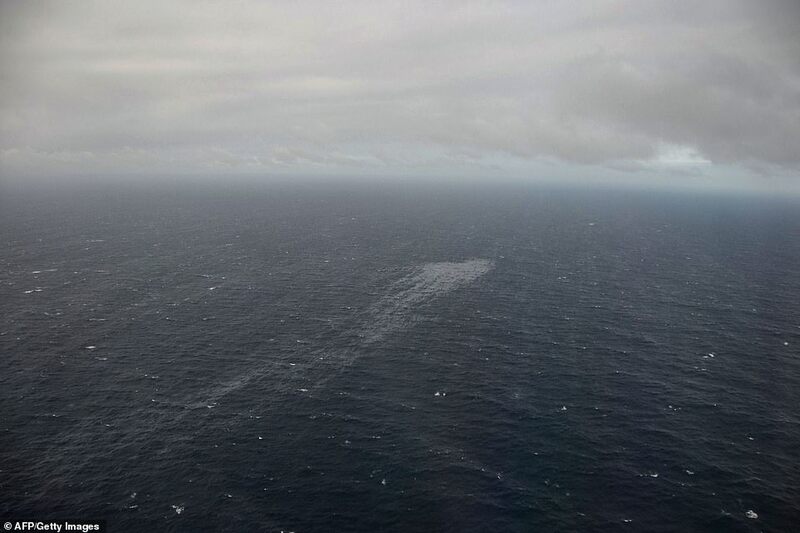 The vessel ran aground on March 12 about 150 nautical miles southwest of Brest, France, at a depth of 15,000 feet beneath the surface of the ocean. 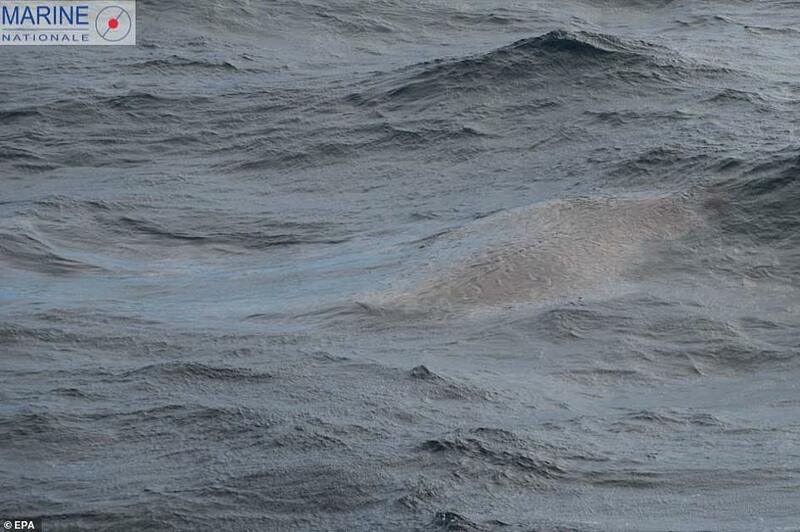 German automaker Porsche confirmed on Tuesday that the doomed vessel was carrying four models of the 911 GT2 RS. 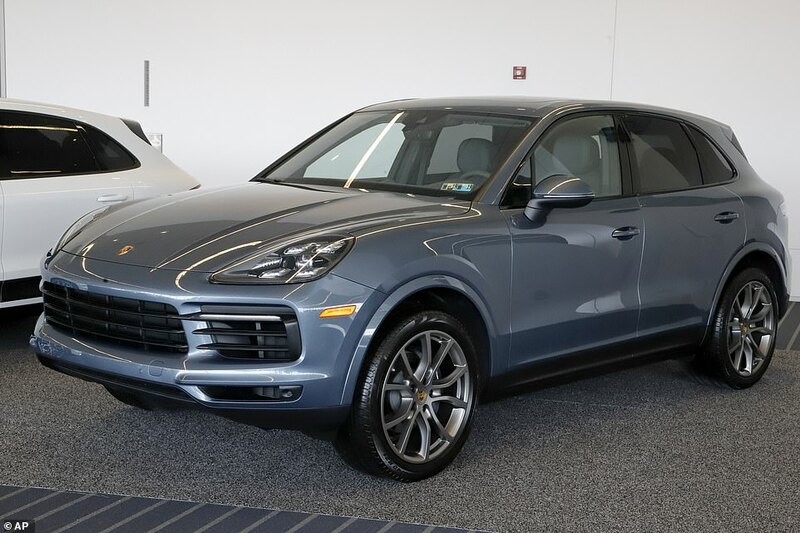 Production of this specific model ended last February, but Porsche will manufacture a few more to make up for the lost shipment, according to Carscoops. Each vehicle carries a retail price of about $293,200. 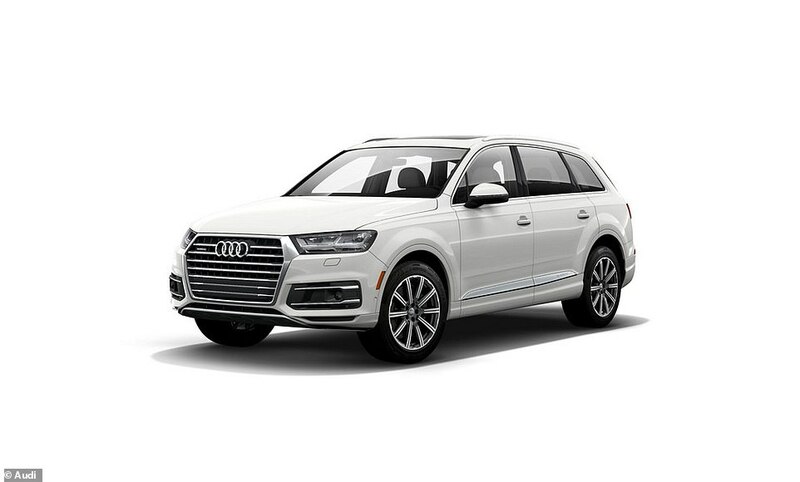 The Stuttgart-based company wrote a letter to its Brazilian customers informing them that they would reproduce the model especially for them. 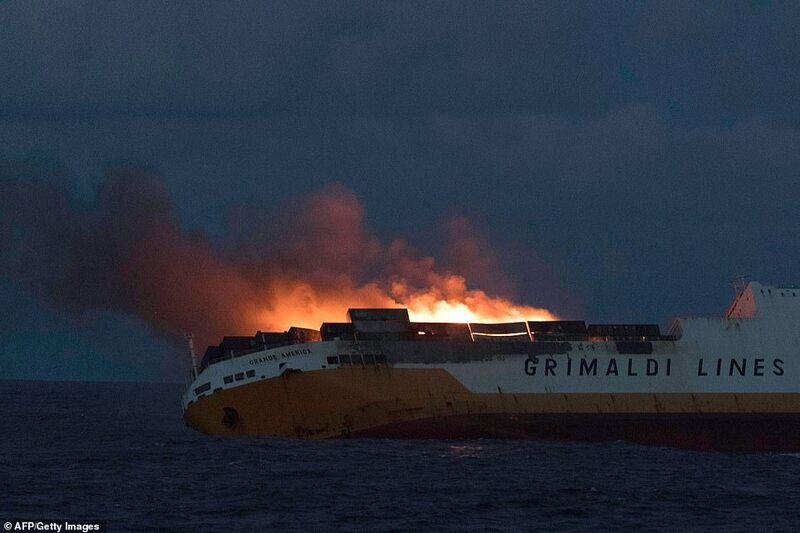 ‘We are sorry to inform you that, due to a fire, a Grimaldi group ship, that was transporting your vehicle, sank on March 12, 2019,’ the company wrote to its customers. 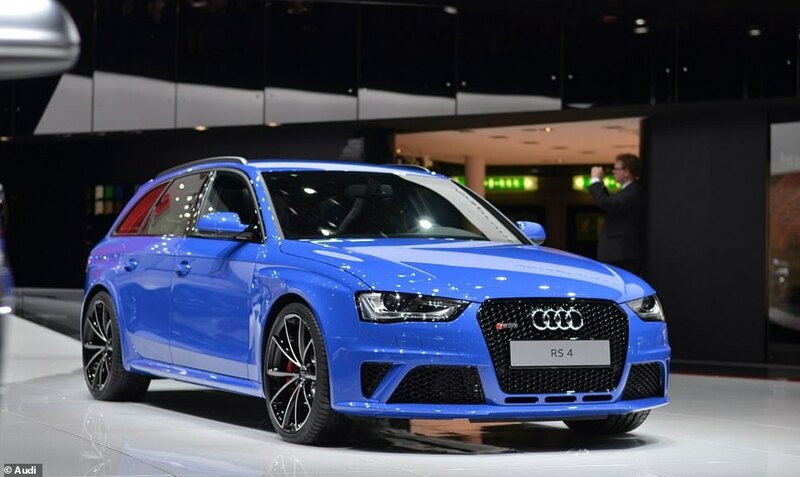 ‘And for that reason, your GT2 RS can not be delivered. 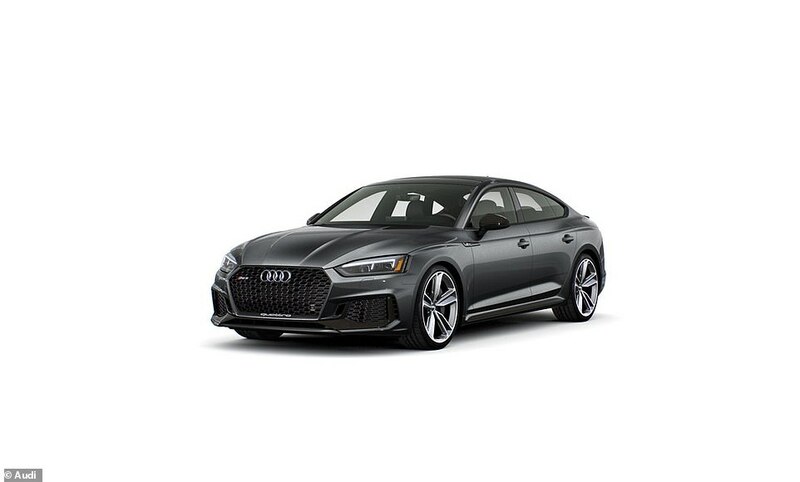 ‘As you may know, Porsche ended the 911 GT2 RS production on February 2019 and under normal circumstances, it wouldn’t be possible to give you another car. 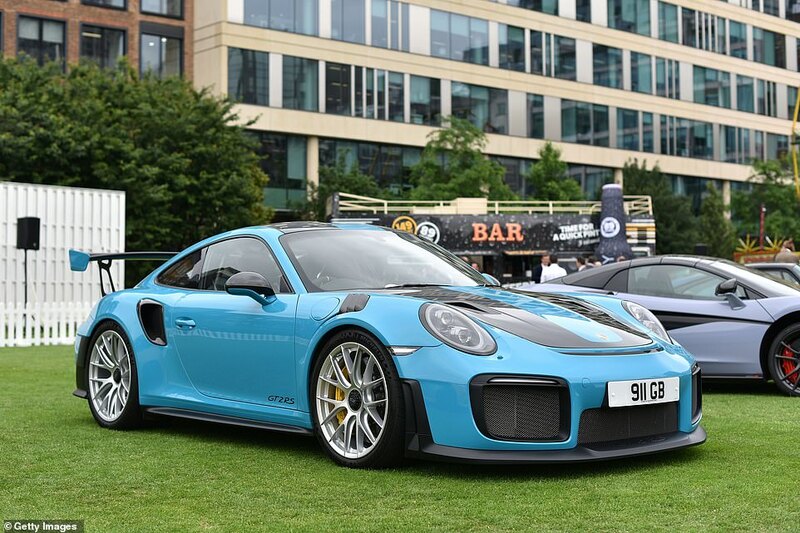 ‘But, due to the nature of the situation, and considering that you’re a loyal and highly valuable customer for our brand, Porsche has decided to resume the GT2 RS production in Germany, and your vehicle will be produced in April, with delivery scheduled for June. In addition to the 911 GT2 RS, Porsche had a number of other models that were lost at sea. 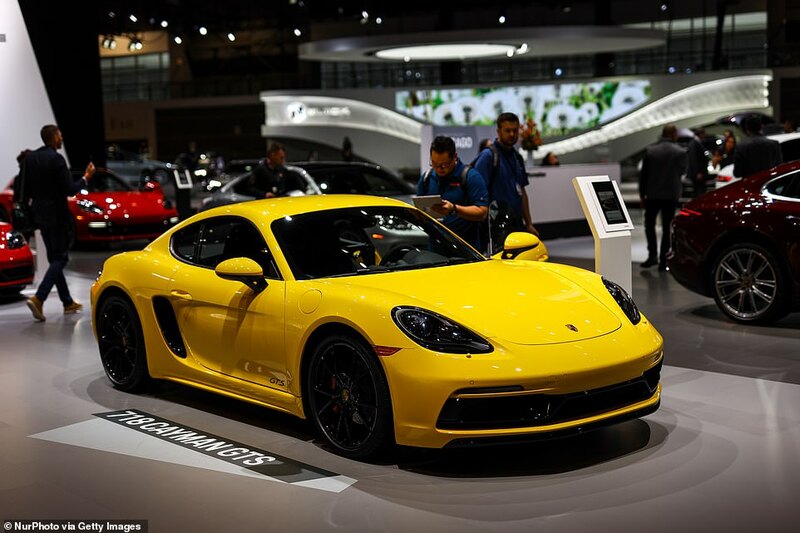 They include 718 Caymans, Boxters, and Cayennes. In total, there were 37 Porsches aboard the Grande America. 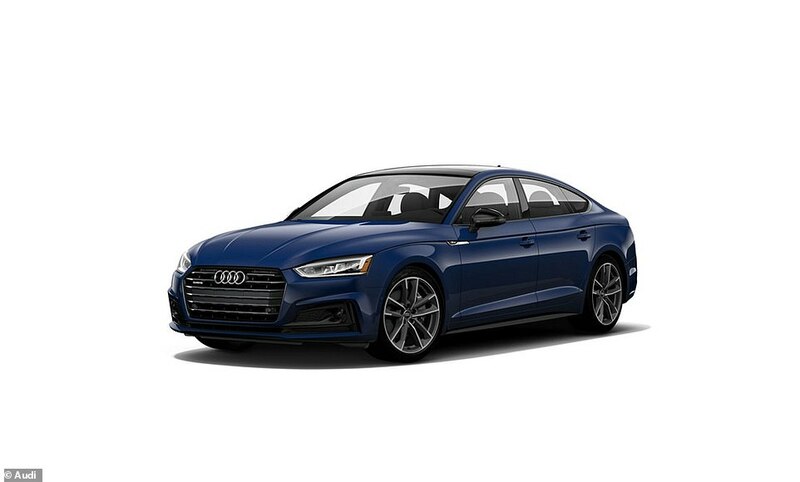 Another European car maker, Audi, lost a number of its vehicles in the shipment, including the Audi A3, A5, RS4, RS5, and Q7 models. 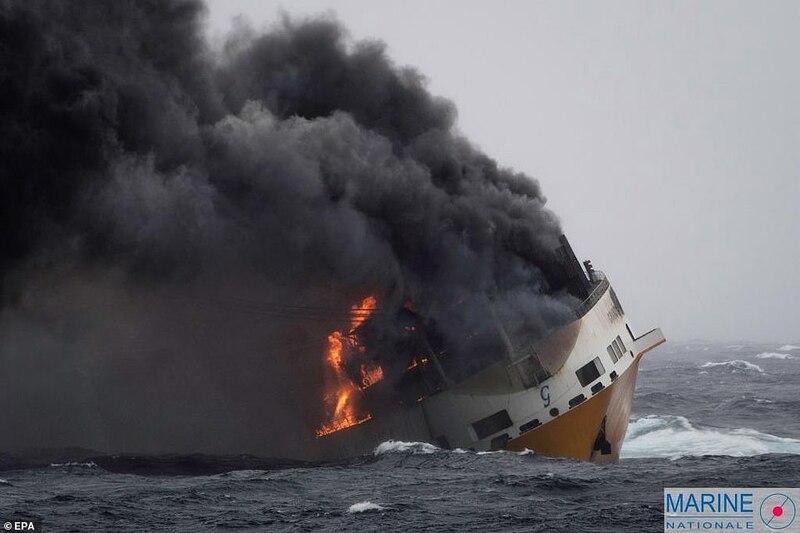 A crew of 27 were saved from the Grande America on March 11 as it was engulfed in flames after a Royal Navy vessel moved in to rescue them from 150 miles away. 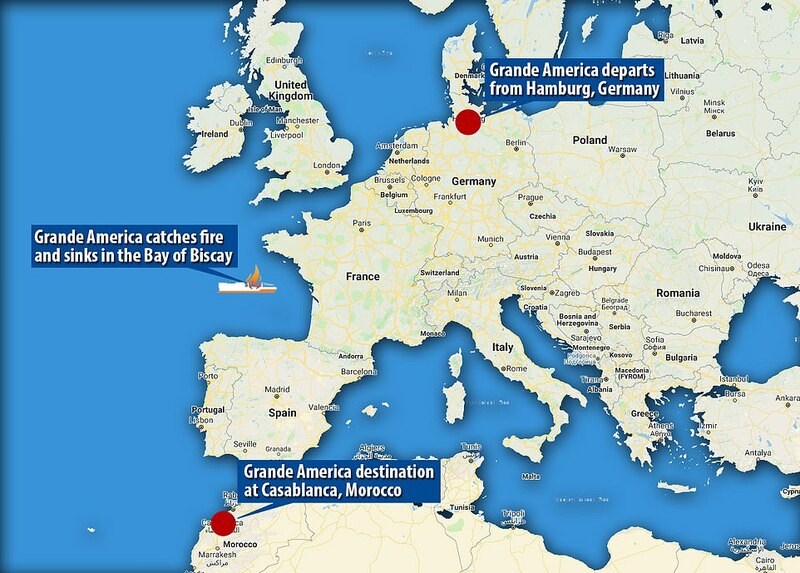 It took sailors on HMS Argyll just eight hours to save every person aboard the 28,000-ton merchant ship in the Bay of Biscay after the ship’s cargo of containers and cars caught fire. 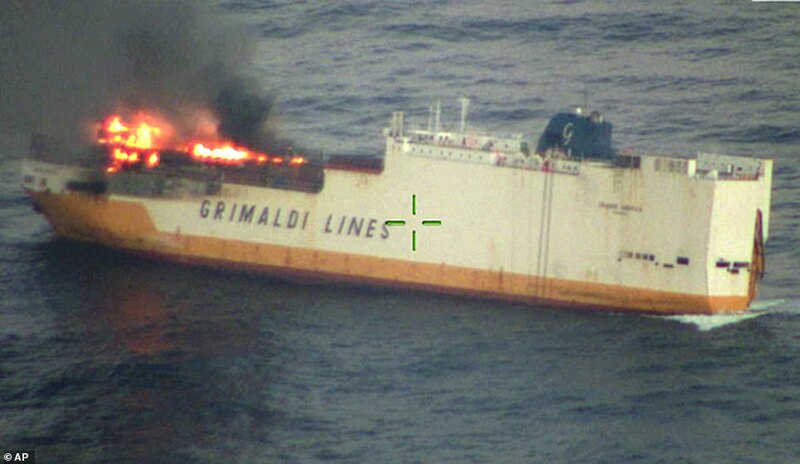 The crew aboard the Grande America merchant ship had been trying to fight the flames but were forced to abandon it, climbing into their lifeboat despite the 5m to 6m swirls in the sea at night. 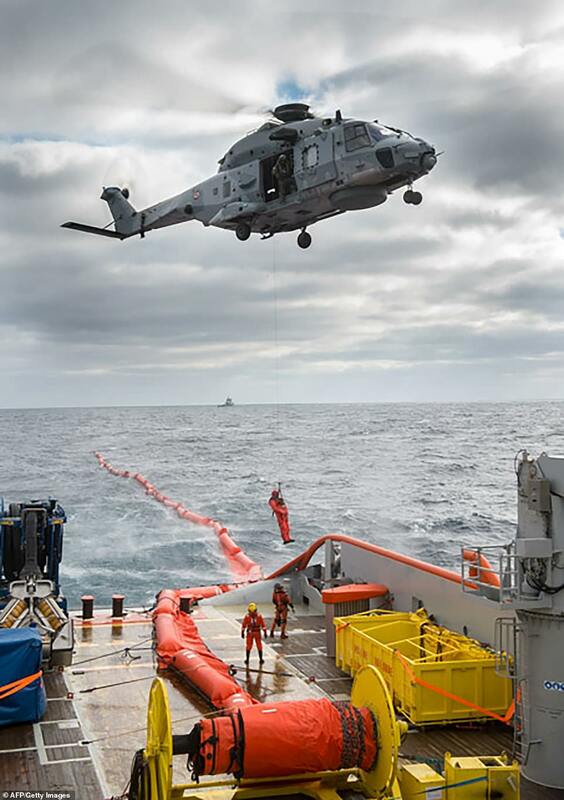 On receiving a mayday message, the Argyll moved 150 miles through difficult sea conditions to launch their small sea boat, which was used to nudge the lifeboat against the safety of the frigate so the crew could be lifted to safety one-by-one. 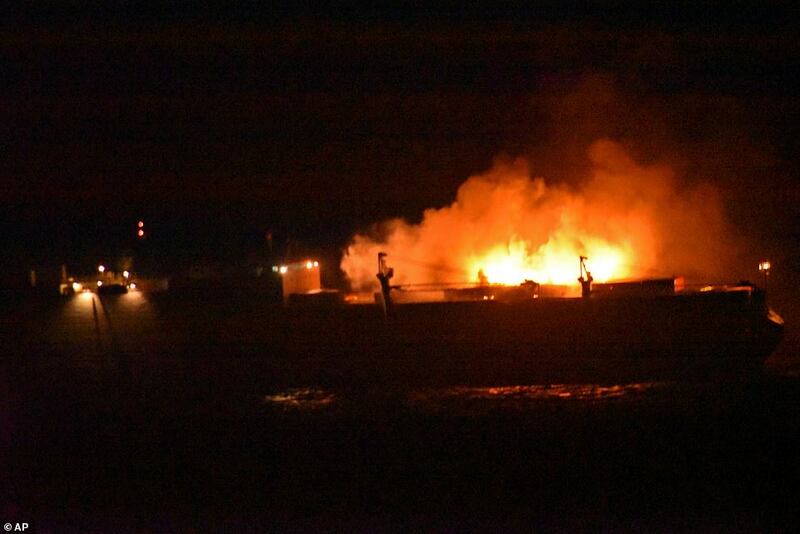 Lieutenant Commander Dave Tetchner, from HMS Argyll, said: ‘It was pretty awful for them – they’d had to fight a fire in dreadful seas. ‘Every one of them suffered smoke inhalation. Then they faced the prospect of abandoning ship and then their lifeboat failed. It was pretty awful all round and they were shocked. 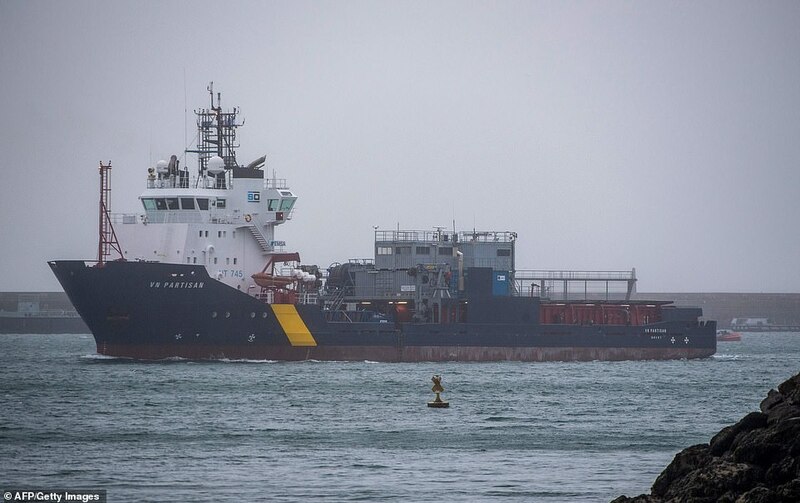 The 27 sailors rescued were then taken to the French port of Brest and while there were no life-threatening injuries, some required hospital treatment. The frigate had been returning to Plymouth after nine months in the Asia-Pacific region working with allies overseas. 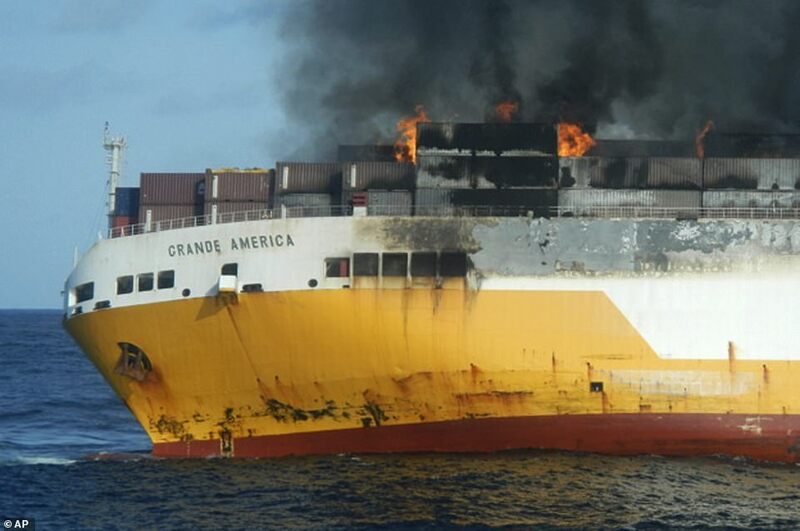 The MV Grande America was still aflame when Argyll left the merchant ship around 5am. 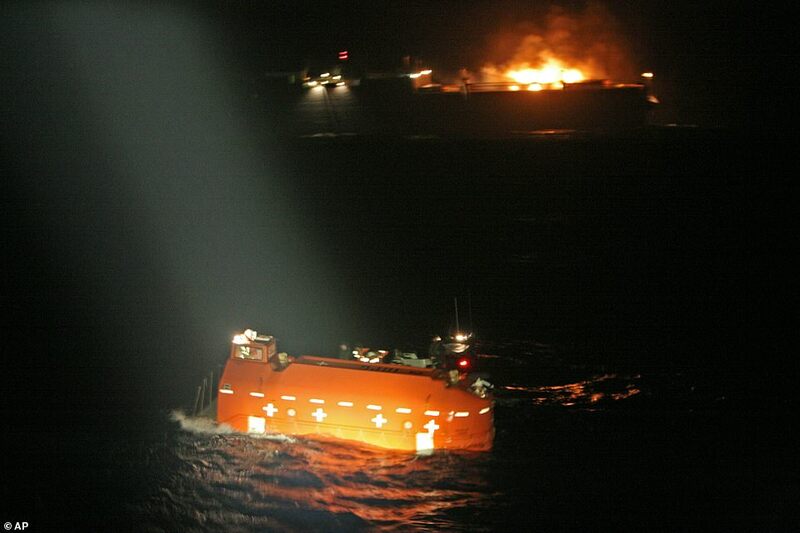 The Italian-registered vessel had been bound for Casablanca from Hamburg when the fire broke out at 8pm on March 10. 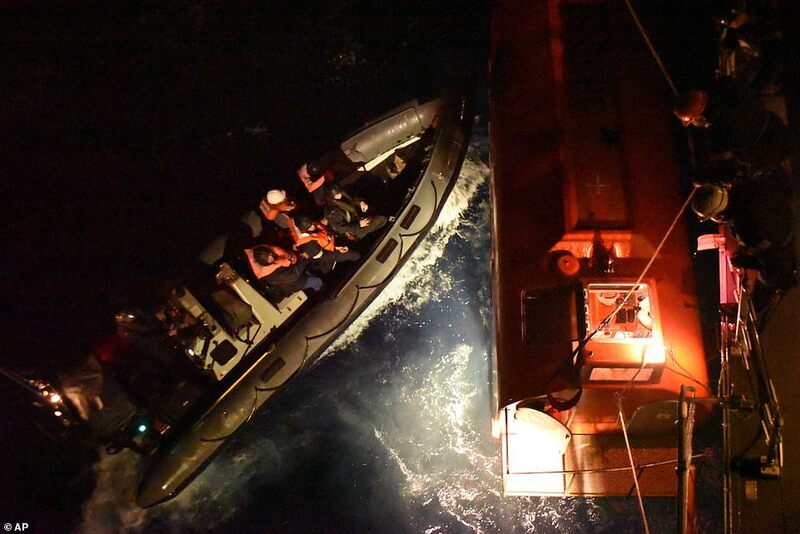 Defense Secretary Gavin Williamson said: ‘HMS Argyll’s swift and selfless response to very dangerous situation in difficult conditions undoubtedly saved 27 lives. I commend her crew. 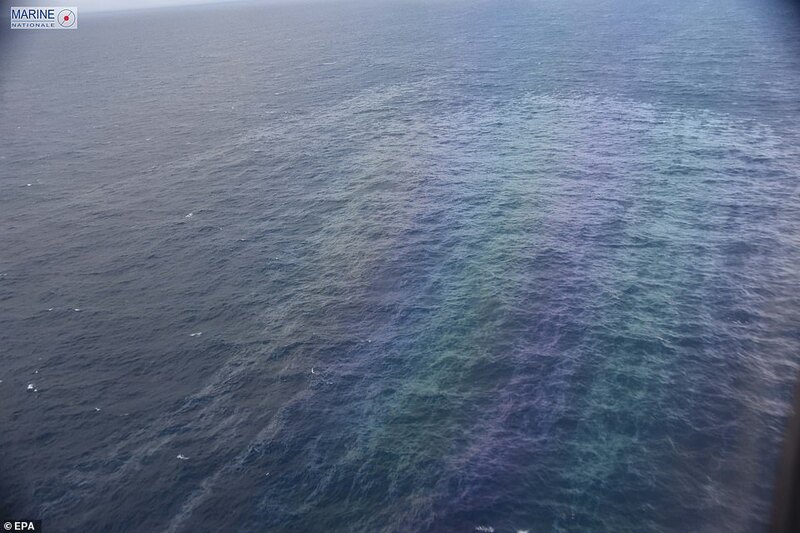 Clean up efforts are underway after 2,200 tons of heavy fuel seeped into the ocean. 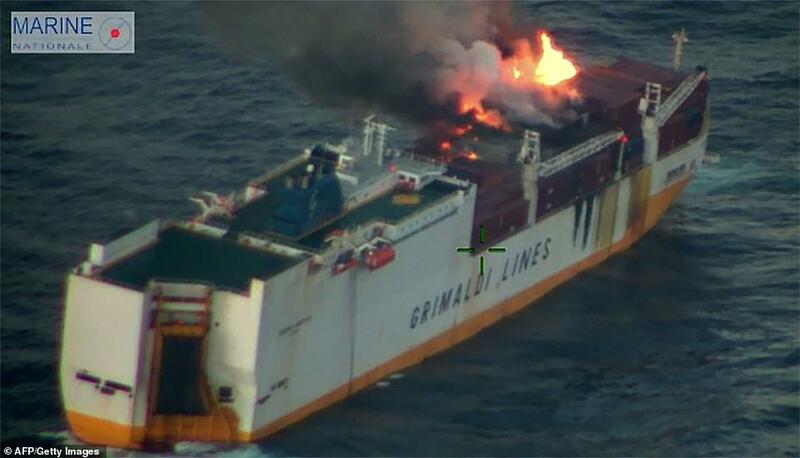 Grimaldi Lines, the Italian company which operates the vessel, said that the ship carried 365 containers - 45 of which had ‘hazardous materials,’ according to the BBC. 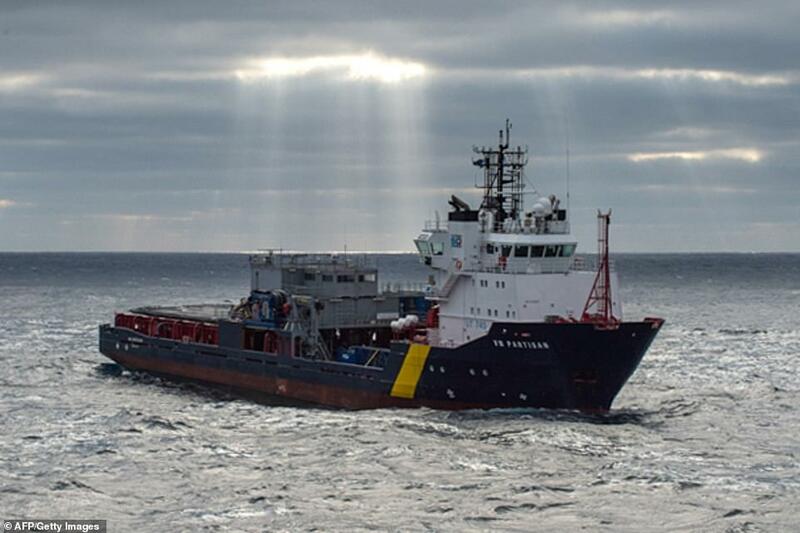 These materials included 10 tons of hydrochloric acid and 70 tons of sulphuric acid.